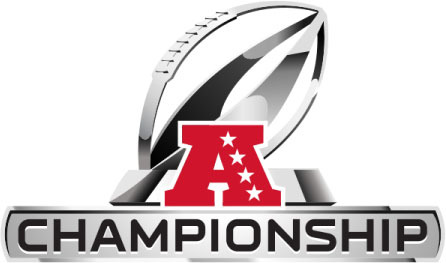 Are you ready for the 2012 AFC Championship? If you’re a bettor or a bookie, then we hope you answered yes to that question! For many cost per head bookies, the bets as to who will win the AFC championship and eventually make it on to the Superbowl are already rolling in. If you’ve found yourself a little behind on the latest predictions, don’t worry. We’ve got the information you need right here; just remember that, in the crazy world of football, things can always turn around at the last minute and take you by surprise. Sure, that’s frustrating, but it’s also one of many things to love about this exciting game. Everyone seems to love the New England Patriots and to have high hopes for them making it to the Super Bowl. They’re stronger than ever, thanks to new wide receiver Brandon Lloyd, who is likely going to work out quite nicely with wide receiver Wes Welker and tight ends Rob Gronkowski and Aaron Hernandez. However, this team isn’t the only one with a lot of support and belief in its abilities. Another major fan favorite is the Pittsburgh Steelers. This team has proven itself to be skilled at winning, even when it seems impossible to everyone else. Plus, quarterback Ben Roethlisberger has a strong offensive line on his side this season. While there are definitely some kinks to be worked out, this team does have a fighting chance. Likewise, the Houston Texans, who came close last year, have a fair shot. With the addition of a defensive back and maybe a defensive lineman too, things could change for this team. Many are also clamoring for the Kansas City Chiefs. Their new head coach, Romeo Crennel, seems like the perfect man for the job. Plus, quarterback Matt Cassell is rather unstoppable in his own right. Don’t forget, either, that there’s running back Jamaal Charles and newbie Peyton Hillis to look forward to seeing in action as well. The defense players are strong too, including defensive end Tamba Hali. We wish we could tell you for sure how things are going to play out but, just like you, we’ll be watching in anticipation to see what happens at this exciting championship showdown!